I’m sorry I haven’t been active lately! I just started my senior year of college, so I have been quite busy. However, I have so many good things planned for you! To start off, here is my review of a subscription box called “The Witch’in Way”. 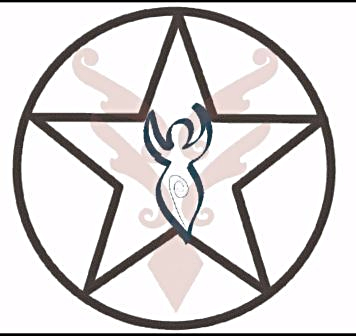 This is a great box for Wiccan and Pagans, and I thoroughly enjoyed it. If you are spiritual like I am, then this box is perfect! Join now and receive regular monthly items as well as 3-4 themed items each month directly to your door! I was so excited to receive The Witch’in Way because I love all of the effort that the creators put into making the box! 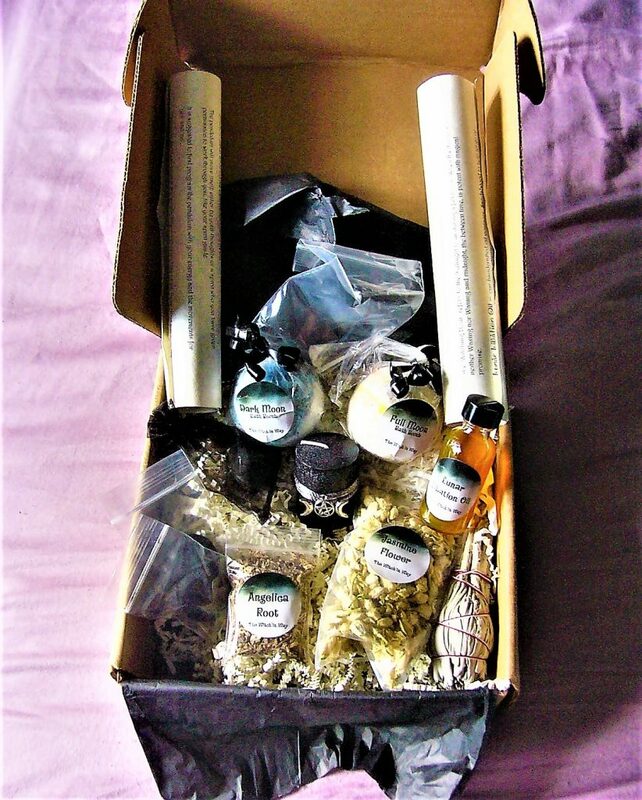 This box is perfect for Wiccans and Pagans, and I love being able to have a box to cater to my spiritual needs. 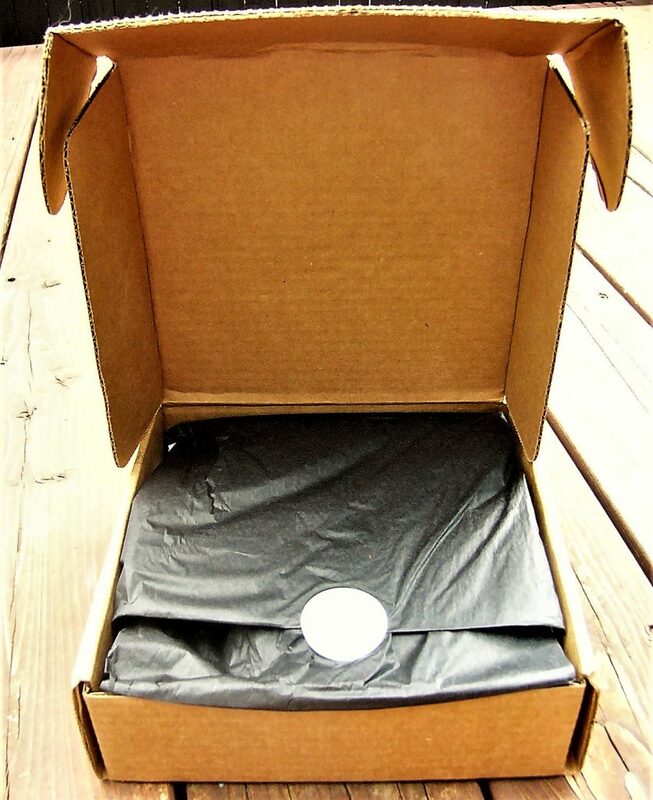 The Witch’in Way comes in a simple kraft box that is sturdy enough to handle shipping! The contents of the box are wrapped beautifully in tissue paper! I like the care that goes into the packaging. 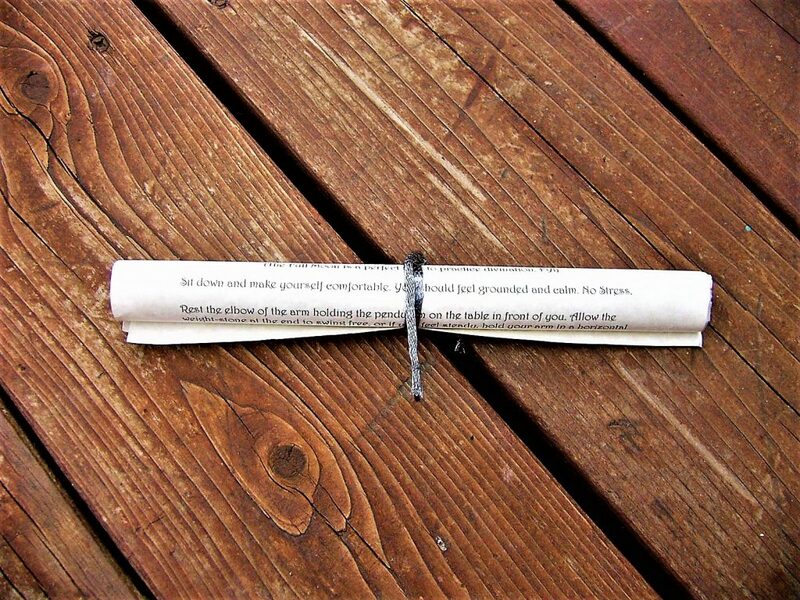 The instructions and item list for this month are wrapped up in a scroll! The mystical look of this is adorable. This box’s theme is “Moon Magic”, which is perfect because I received it before the eclipse occurred! The first item is a pendulum! 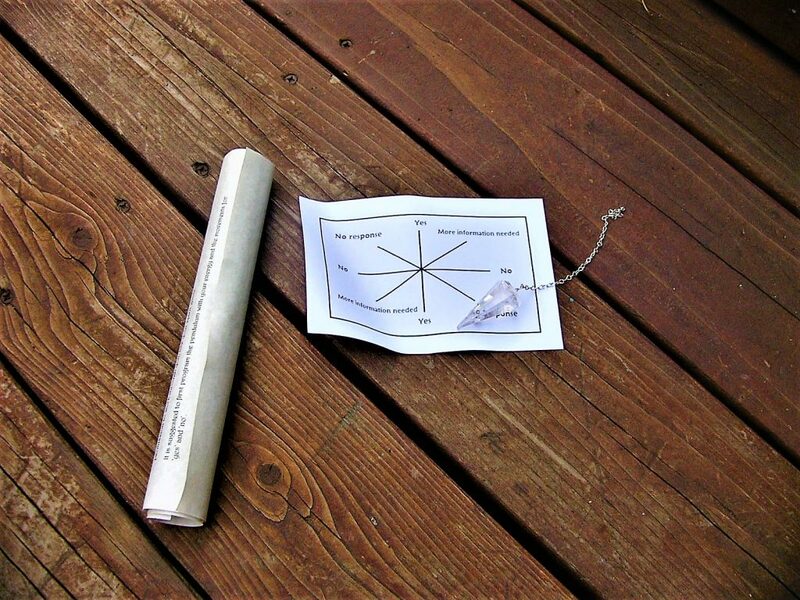 This mystical pendulum is designed to be an oracle to answer any questions that you might have. It is made out of quartz crystal and comes with instructions. I love using pendulums, so I am so happy that this was included! It is a necessity for spiritual practitioners, and it aligns perfectly with the eclipse. 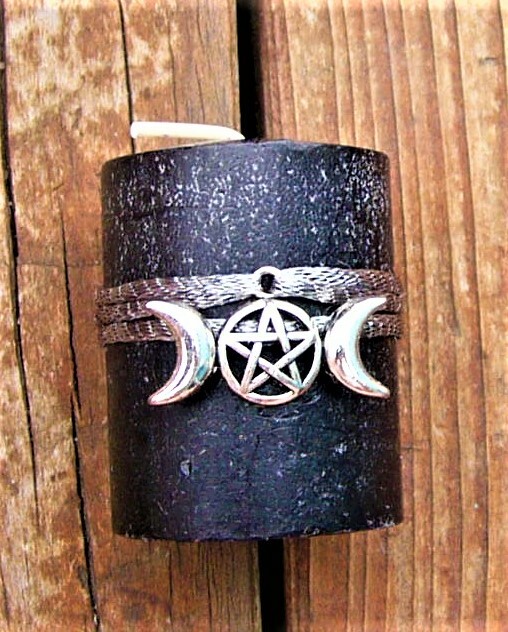 The next item is a Dark Moon Candle! It smells like sandalwood and has a Wiccan charm on it. Black candles are always a nice touch on altars, and I love the simple smell of this candle. 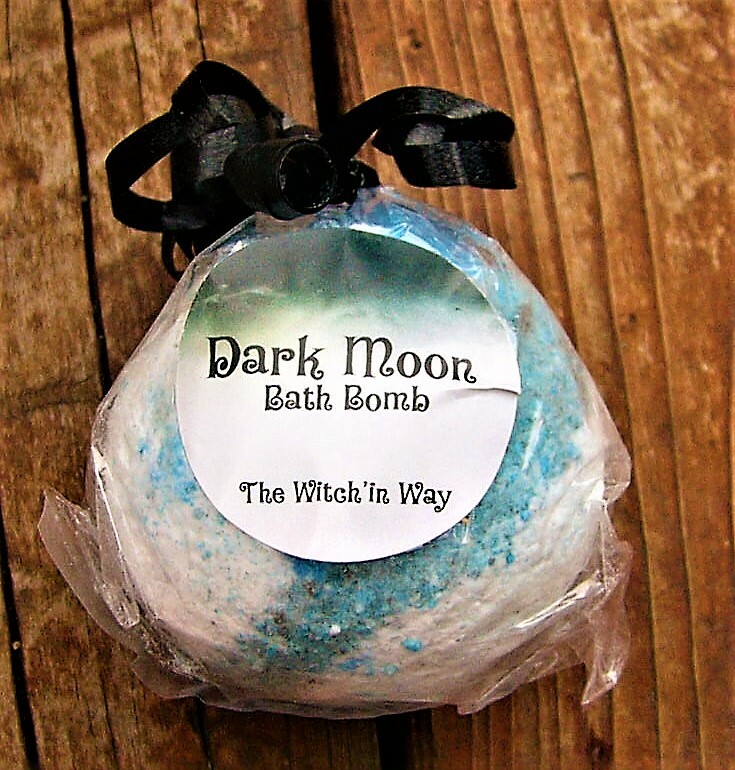 The next item is a Dark Moon Bath Bomb made exclusively by The Witch’in Way! I am a sucker for bath bombs, so this is a nice touch. The oils and scents used in this bath bomb are designed to encourage spiritual growth, mastery of self, relaxation, energy, happiness, and peace. It is such a relaxing combination! 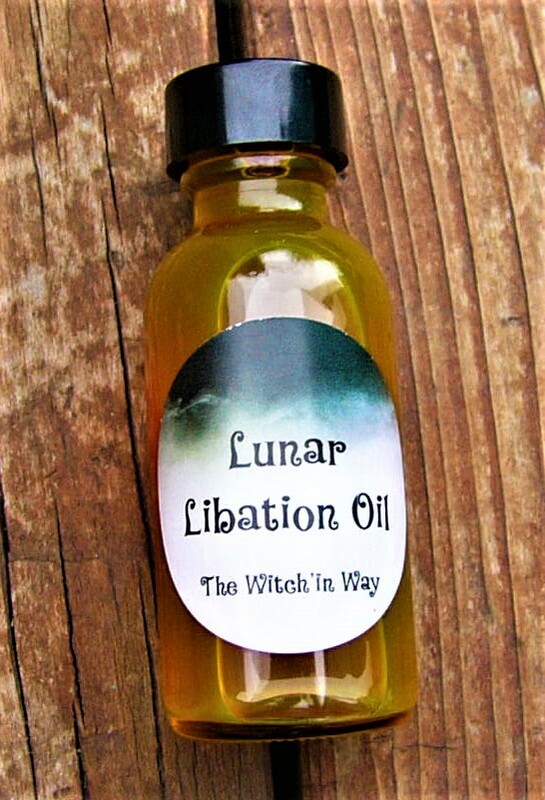 The next item is a bottle of Lunar Libation Oil! This is also exclusive from The Witch’in Way, which I love. It contains sandalwood, camphor, vanilla and geranium for a mix of positivity. I like using these oils on myself to attract positive energy. 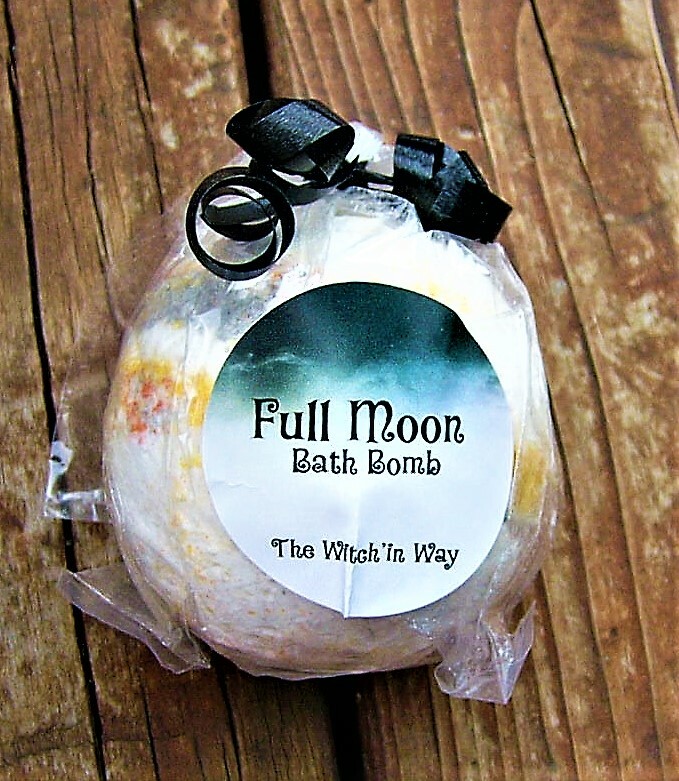 The next item is a bath bomb based on the Full Moon! This bath bomb is blended with jasmine, sandalwood, and lemon to help connect you connect to your purest intentions. Jasmine is one of my favorite scents, so I love how crisp and clean this bomb smells! 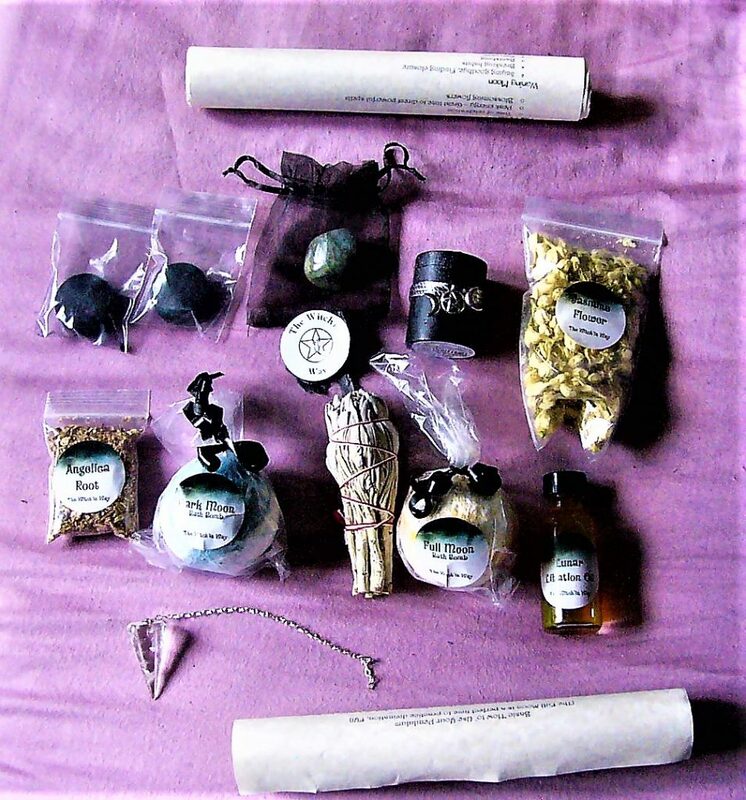 In each box, The Witch’in Way sends out a different crystal or stone. This box came with a Labradorite stone, which happens to be one of my favorites! I am a crystal healer, so I love adding new stones to my collection and I use Labradorite frequently. 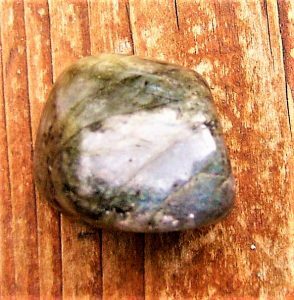 Labradorite can be used spiritually to protect your aura, raise consciousness, and ground spiritual energies. It also helps with psychic abilities and strengthening your intuition! 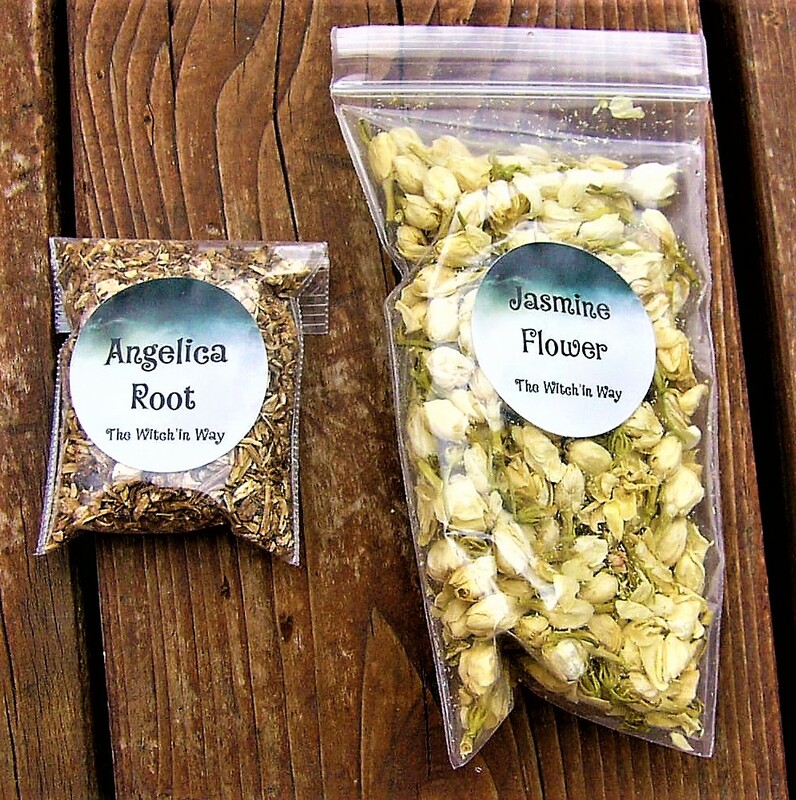 The herbs included this month are Angelica Seeds and Jasmine Flowers! These bags are fairly big and provide enough herbs to work in many magical settings. I personally love using these herbs for herbal tea because of their properties, so I will be making my own teas with them! Jasmine is considered to be the sacred flower of Kama, the god of Love, so it is often used for love or relationships. This is a great herb to use in baths! Angelics Seeds are used to treat insomnia, headaches, and stomach problems. I constantly have headaches and digestive problems, so this is a perfect herb to use for that! The last items in this box are staples, and they come every month! 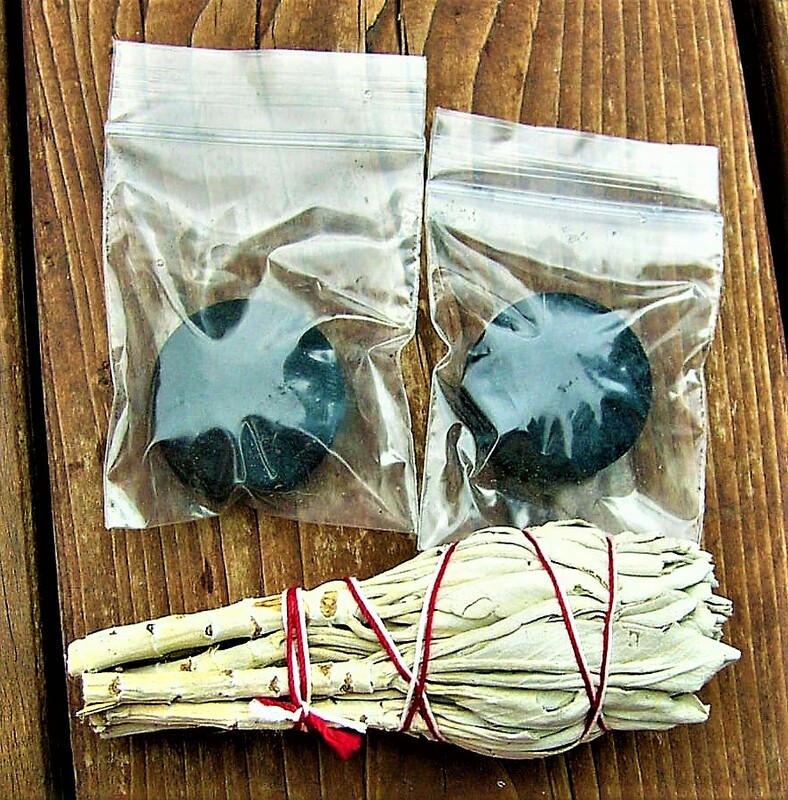 Included is a sage stick as well as two charcoal tablets. These are great to use in rituals. Final Thought: The Witch’in Way is an excellent box for new practitioners or seasoned practitioners! I loved everything included, and the fact that most of the items were created/packaged by The Witch’in Way team was such a personal touch. I loved the moon theme of this box, and I will be putting everything to great use. 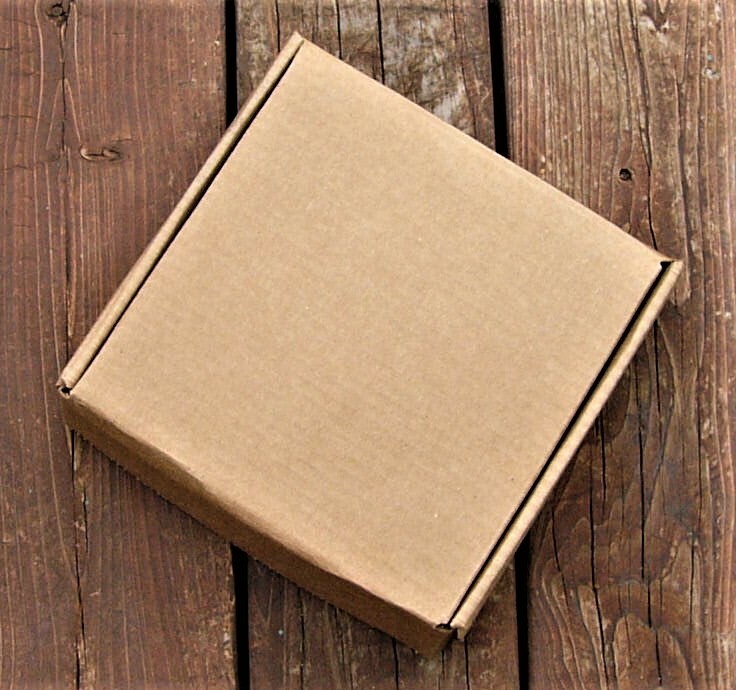 It also has to be said that this box is well worth the cost because of how expensive these supplies can be at spiritual stores. I highly recommend The Witch’in Way!